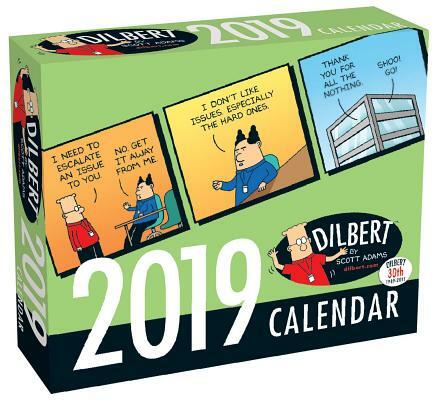 This Dilbert 2019 Day-to-Day Calendar features a full-color Dilbert cartoon on every page. Sure, Dilbert's life is an endless string of useless tasks orchestrated by idiots, but he's still gotta believe he's making a difference. It's not easy when his boss manages by interruption and his coworkers are either passionate about being useless or one assignment away from a meltdown. He could really use the kind of humor found in this 2019 daily calendar. After all, if you can’t share a laugh about deep diving, drilling down, and hyperlocalizing, you might as well be just another worker in a fabric-covered box.